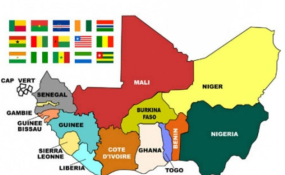 The countries are Benin, Burkina Faso, Cabo Verde, Cote d'Ivoire, Guinea, Guinea Bissau, Gambia, Liberia, Mali, Niger, Senegal Sierra Leone and Togo. Within the period, Sierra Leone contributed 19. 632 million; Liberia 29. 988 million dollars; Guinea 31. 101 million; Niger 37. 788 million; Togo $48. 961 and Cote d'Ivoire $54. 173 million. The national customs administrations of member states are responsible for "assessment and collection" of the levy and daily record "accounts of amounts received". Shehu Garba who briefed newsmen after the presentation by Nigeria at the on-going session, said it was time the leadership of the delegation intervened and deployed people who had time for parliament's activities.